My mom is from Thailand and she used to make this all the time when I was growing up. Everyone in my family still eats these type of eggs quite regularly, usually with rice or sticky rice. We simply call it Thai eggs. 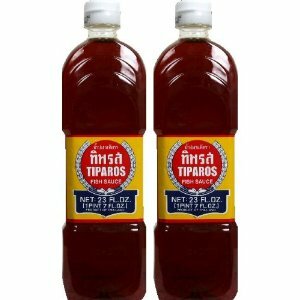 Not that the Thai people invented it, but because of the one simple ingredient, Thai sauce or fish sauce. Thai sauce or fish sauce is commonly used in in Thailand and it is a savory flavor that is found in traditional Thai cooking. This is the kind I used below, but you can use any brand you like. I really can't believe one of my favorite dishes growing up is on plan, but not without one slight modification. Usually, the eggs are fried in a little oil. I just used canola cooking spray. You can add other ingredients as well such as chopped onions, green onions, tomatoes, etc. No need for salt since fish sauce is salty enough. I like my eggs plain which is what is pictured below. It is so easy and simple to make! Enjoy! Whisk together eggs, fish sauce, and pepper until combined. Add any other additional ingredients, if desired. Generously spray a non-stick medium sized frying pan with cooking spray. Place pan over medium-high heat. Add egg mixture to hot pan. 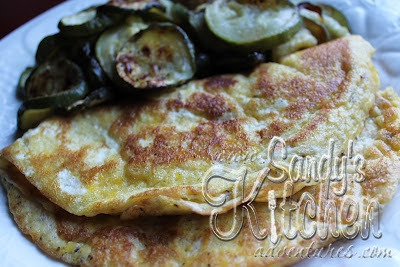 Let eggs sit in pan until cooked (like you would when making an omelet). Flip eggs over and cook the other side. Enjoy!